A high annual fee on your credit card can add up over time. So, if you’re not seeing the value for the fee you’re paying, a card without an annual fee is one option worth considering. 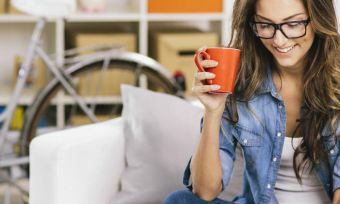 Canstar explains how to get a credit card with no bad credit history – without being rejected by the banks and hurting your credit score. A travel card, travellers’ cheque, credit card, debit card, or cash – Canstar weighs up the pros and cons of overseas payment methods! A credit card is a card that gives the cardholder access to a revolving line of credit. The cardholder can make purchases up to a specified limit. The “spent” credit can be repaid by the cardholder to the bank by the due date in full or in part. If the credit is only repaid in part, the remaining balance is taken as extended credit and interest will be charged on that amount until the cardholder repays it. For some cards, interest is charged on all purchases and transactions – not just extended credit – from the day of the transaction. Credit cards can be a fantastic spending and reconciliation tool for consumers who use them properly. However, a credit card can present a higher personal risk to customers financially. It can make it all too easy to spend on impulse if you’re not disciplined on how and when you use the card. 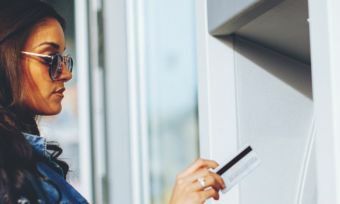 A line of credit connected to a credit card might be easier to obtain than other forms of credit such as a personal loan or a home loan, but it doesn’t come cheaply. Credit cards typically have high interest rates because they are an unsecured debt. Unlike other loans or lines of credit, interest rates on credit cards appear to remain high, no matter how the Reserve Bank of New Zealand (RBNZ) increases or decreases the official cash rate. By comparison, home loans and term deposit accounts tend to reflect any movement in the cash rate within a short time of the official announcement. It’s important to compare products before making that big decision. Money saved is money earned. Some credit cards also charge an annual fee in exchange for some extra rewards and services. It’s important to weigh up the value of these rewards and assess whether or not they would be useful to you. Some cards let you pay the annual fee with rewards points you have earned, but if you only earn enough points in the year to pay the fee, then choosing a card without a fee makes more sense financially. Credit cards can also charge high fees for late payment of a bill or certain types of transactions. It’s important to read your terms and conditions and pay your bill on time every month. If you are currently finding dealing with money stressful, a credit card is not a good option for you, for many reasons. Credit cards can increase impulse spending and make it harder to remember what you’ve spent so far in a month – which makes it very difficult to stick within your budget. Try our best tips for budgeting and saving money until you are financially fit and living within your means. 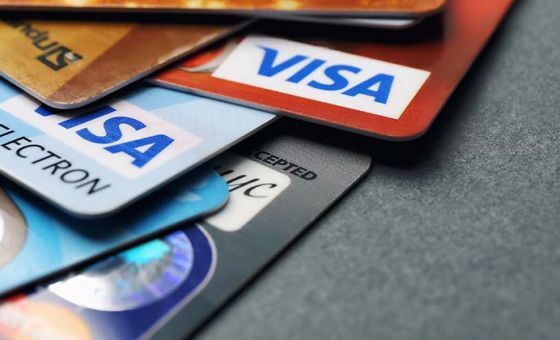 Credit cards can be useful for a variety of reasons if used responsibly. When you need to apply for a loan, you need to have accumulated a positive credit history of dealing responsibly with a line of credit. If you pay off the full balance of your credit card every month, this can provide you with that positive credit rating. Just remember to be careful, as any missed payments can negatively affect your credit rating. Credit cards have anti-fraud protections that can make them safer than debit cards when shopping online. If someone defrauds your debit card, they can spend all of your hard-earned cash and leave you broke. If someone defrauds your credit card, they can max it out, but you still have access to your own cash while the bank investigates the fraud. Always check that you recognise every transaction listed on your statement, and call the bank immediately if you suspect someone has stolen your details and is using your card. Many credit cards have great reward programmes. Credit card rewards are useful for cardholders who already use their card enough to build up points and justify paying an annual fee for it. These are not useful if you would need to overspend, buy things you don’t need just to acquire points, or if the annual fee is higher than the benefits you would use. Think about the type of rewards on offer and consider whether you would use them. You might not even need a credit card with an extensive rewards programme. Paying for a large-ticket item or a large purchase such as overseas flights, it can be easier to use a credit card because it doesn’t have a small daily limit like your debit card. Before you buy, check that there aren’t any merchant fees for using your credit card to make the purchase. It might be worth asking the bank to increase the daily limit on your debit card instead. When you’re travelling overseas, having a credit card can be a convenient and safe way to travel, eat out and buy souvenirs. Debit cards aren’t accepted at as many places as credit cards. Many places in the world still operate using cash, so you should also have some of the local currency with you at all times. It can also be helpful to take a backup card with you just in case. Bankcard, New Zealand’s first credit card, was launched in 1979. It came here after the successful Australian launch five years earlier (1974) proved that electronic data processing and communications technology had become advanced enough to handle clearing payments across the nation. Bankcard was operated by Charge Card Services Ltd, a service company that allowed multiple banks to use its computers and communications networks through a shared facility. Each member bank issued their own variant of the Bankcard credit card with their own terms and conditions. Three Australian banks that had a presence in New Zealand were the ones to introduce Bankcard first: ANZ, BNSW and the Commercial Bank of New Zealand. As Bankcard showed people liked using cards, the Bank of New Zealand started issuing EFTPOS debit cards in 1985 as an alternative to using cheques or cash. Electronic card payments have increased rapidly since then. In October 2018 alone, New Zealand cardholders spent $7.4 billion across all industries using electronic card payments. The average amount that people spend per card transaction is also getting smaller with an average of $49 per transaction during October, as people start using cards for small amounts instead of cash. In the 1990s, the Bank of New Zealand launched the first card in the country to offer a direct-earning loyalty programme. Their GlobalPlus credit card allowed you to earn AirPoints DollarsTM dollars that you could spend with Air New Zealand. Bankcard stopped operating in New Zealand in 2005, when it was clear that it was no longer needed, because our banks were effectively handling clearing credit payments in-house. Security chips were introduced in 1992 in France and are now standard on cards in New Zealand. These smart chips are harder to ‘hack’ than the old magnetic stripe. Contactless payment was patented in 1983 by electrical engineer Charles Walton. Fast forward to 1997: contactless payment using a credit card is introduced for USA Mobil fuel stations for purchases under $100. New Zealand then introduced contactless payment in 2011 for purchases under $80, via Visa’s payWave and MasterCard’s PayPass. Contactless payment with a mobile phone was introduced in 1997 in Finland, whereby customers could pay for purchases using the credit or debit card data stored on their phone. Modern examples are Google Wallet and Apple Pay, which use the Near Field Communication (NFC) technology in a smartphone. MasterCard was formed in 1966 when 17 banks joined together to form the Interbank Card Association. Today, MasterCard provides an umbrella for thousands of financial institutions to share a brand recognised by customers and merchants. No other card is more accepted worldwide in terms of the amount of countries and territories it is accepted in (more than 210). They acquire the fastest payments processing network which is also one of the largest and most sophisticated networks in the world. The MasterCard/Cirrus brand is the world’s largest network of ATMs. 1981: First rewards credit card: the “gold card program”. 1983: First to use a laser hologram on cards as an anti fraud device. 1989: First bankcard with a tamper-resistant signature panel. 1991: First global online debit program launched, named Maestro®. Why MasterCard charges payment fees. Visa was formed in 1958 as the Bank of America’s BankAmericard, the first consumer credit card program available to middle-class consumers and small to medium-sized merchants. It was a simple paper card with a $300 credit limit. In 1976, BankAmericard became independent and united many different banks under the new global brand of Visa. Visa is accepted at around 44 million locations world-wide. 2.1 million ATMs in more than 200 countries. 24/7 customer service word-wide with Visa’s Global Customer Assistance Services. 1970s: Launch of VisaNet, the world’s first electronic payment system for authorisation, clearing and settlement of funds. Transactions can now be completed in seconds. 1993: Neural network technology introduced to reduce credit card fraud. A bank of servers highlights, for the bank’s attention, any unusual activity on your account, such as transactions in a different country. It also highlights transactions that are less unusual but do not match your usual spending activity, using a 99-point risk scoring system. In 2004, Visa upgraded to the ‘Advanced Authorization’ system to assess transactions’ risk score in real time. 1997: First contactless payment prototype. The difference between Visa and AMEX. Visa credit cards with no preset spending limit. American Express Company was founded in 1850 by Henry Wells, William G. Fargo and John Butterfield as an express delivery business during the westward expansion. Its biggest clients were banks who needed to transport small but valuable items such as stock certificates, deeds, bank notes and currency. In 1882, American Express launched its money order business with almost instant success. They issued their first credit card in 1958, with Elvis Presley being one of the first cardholders of the ‘American Express Card’. The American Express Gold Card was launched in 1966. American Express has also been a travel provider since WWI, when it helped to provide emergency travel help for 150,000 American tourists left stranded in Europe in 1914. Today, they operate one of the world’s largest travel networks, and many of their credit card rewards programs focus on travel benefits. They are the premium network for high-spending cardholders. On average, AMEX ‘cardmembers’ spend four times more than MasterCard cardholders and three-and-a-half times more than Visa cardholders. Membership Rewards points at time of writing, do not expire and there is no cap or limit to the number of points you can earn. 2011: Facebook ads can be purchased with AMEX Membership Rewards points. 2011: American Express Gift Cards become the first gift cards to be sold in US Post Offices. 2014: Uber car service users can pay for their ride using Membership Rewards points, or earn double points for paying for their ride using their AMEX card. Account-keeping fee / Ongoing fees: You may be charged a monthly account-keeping fee by the lender to help cover the administration cost of maintaining the line of credit. Alternatively, you may be charged an annual fee rather than an ongoing account-keeping fee, especially on rewards credit cards. Cash advance fee: A cash advance is when you get cash out using your credit card, and the bank charges a fee to provide this cash. The fee can be as little as $2.50 or as big as 2% of the cash amount. A cash advance fee can also be charged when you use your credit card to purchase foreign currency or travellers’ cheques. International transaction fee: Most banks charge a fee to process a purchase you make overseas. They also charge a conversion fee when the purchase is made in a currency other than New Zealand dollars. These fees are a percentage of the purchase price, so it can add up quickly. This is why travel money cards are such a good idea! Late fee: If you do not pay the minimum amount due on your monthly bill, you will be charged a big, fat late fee, adding to your debt and lowering your credit rating. One great trick for preventing this is to set up a direct debit automatic repayment for the minimum amount every month, then setting a reminder for yourself to make a manual lump sum repayment of the remaining balance later on. Overlimit fee / Overdraft fee: You can “opt out” of being able to spend more than your limit. This is highly recommended for those struggling with credit card debt or prone to impulse purchases. Non-bank ATM fee: A fee charged by your bank when you use an ATM from a different bank. Some banks will even charge you to make a balance enquiry on your card using another bank’s ATM. A summary of features that we look for in an outstanding value credit card are contained in the Methodology attached to our annual Credit Card Star Ratings reports. There are many possible rewards that can be attached to a rewards credit card. You can use our credit card rewards star ratings to search for cards offering your favourite type of reward. The “best” credit card rewards program comes down to how much you spend per year on your card, what type of reward you are most likely to use, and whether the annual fee or other costs for the program would be worth it. Canstar rates rewards programs for three different levels of annual spending on your credit card – $12,000, $24,000, and $60,000. A balance transfer involves transferring your credit card debt to a new credit card with a low interest rate, often a promotional rate, and paying off the debt before the end of the low-rate or promotional period. Rates range from 0.00% to 8.95%, considerably less than your average credit card. Note, though, that some balance transfer deals have a “honeymoon” period at this lower rate, after which the amount owing on the card reverts to a higher interest rate. The low interest rate may also only apply to the initial balance transferred and not to any purchases you make. Check the terms and conditions carefully! Balance transfers are a good idea if you choose a 0% interest deal with a transfer period longer than 12 months. You also need to avoid temptation by cancelling your previous credit card and not making any new purchases with the balance transfer card. Concentrate on paying off as much of the debt as possible during the interest-free period. Check the reversionary interest rate and if it’s pretty high, transfer any balance left on the card at the end of the interest-free period to a low rate card. No other card is more accepted world-wide. Their computer network takes less than one second on average to process a transaction and is one of the largest and most sophisticated networks in the world. 1983: First to use a laser hologram on cards as an antifraud device. Find out more from CANSTAR about the difference between MasterCard and Visa, MasterCard’s 2013 CANSTAR Innovation Excellence Award, and MasterCard supporting developing nations to protect against natural disasters. Visa was formed in 1958 as the Bank of America’s BankAmericard, the first consumer credit card program available to middle-class consumers and small- to medium-sized merchants. It was a simple paper card with a $300 credit limit. In 1976, BankAmericard became independent and united many different banks under the new global brand of Visa. Visa is accepted at tens of millions of locations world-wide. 1993: Neural network technology introduced to reduce credit card fraud. A bank of servers highlights for the bank’s attention any unusual activity on your account, such as transactions in a different country. It also highlights transactions that are less unusual but do not match your usual spending activity, using a 99-point risk scoring system. In 2004, Visa upgraded to the ‘Advanced Authorization’ system to assess transactions’ risk score in real time. Find out more from CANSTAR about the difference between Visa and MasterCard and Visa’s digital wallet, Visa Checkout. Find out more from CANSTAR about American Express companion card rewards, the AMEX Shop Small campaign for small business owners, and the elusive American Express Black Card. Account-keeping fee / Ongoing fees: You may be charged a monthly account-keeping fee by the lender to help cover the administration cost of maintaining the line of credit. Alternatively you may be charged an annual fee rather than an ongoing account-keeping fee, especially on rewards credit cards. Late fee: If you do not pay the minimum amount due on your monthly bill, you will be charged a bit, fat late fee, adding to your debt and lowering your credit rating. One great trick for preventing this is to set up a direct debit automatic repayment for the minimum amount every month, then setting a reminder for yourself to make a manual lump sum repayment of the remaining balance later on. A summary of features that we look for in an outstanding value credit card are contained in the Methodology attached to our Credit Card Star Ratings report. A balance transfer involves transferring your credit card debt to a new credit card with a low interest rate, often a promotional rate, and paying off the debt before the end of the low-rate or promotional period. Rates range from 0.00% to 8.95%, considerably less than your average credit card. Note, though, that some balance transfer deals have a “honeymoon’ period at this lower rate, after which the amount owing on the card reverts to a higher interest rate. The low interest rate may also only apply to the initial balance transferred and not to any purchases you make. Check the terms and conditions carefully! Beware of one potential trap: some cards offer a 0% deal for a certain number of months, but they charge a “balance transfer fee” of up to 3% of the amount being transferred. That’s a lot of money! Purchase price protection insurance is a special feature of some credit cards where the bank will pay you back the difference if you find a product on sale for a cheaper price than you paid for it. This insurance can be provided for free on your credit card, available as a paid option on its own, or included with other insurance options on some cards. This insurance usually only covers purchases made in New Zealand, with an annual limit on claims. These insurance policies vary greatly between providers. For most cards with this feature, the price drop must be at the same retailer, but some will cover it if you see the item cheaper at any store. A fee is charged for this insurance policy, usually a small percentage of the closing balance of your monthly credit card bill. So if you pay off the entire balance of your card before your statement is issued, you can avoid having to pay a fee for the insurance. Wondering what type of credit card you should get? This depends on what type of spender you are. Do you pay off your card in full each month? What type of credit card spender are you? These cards are suited to someone who uses their credit card frequently every month, but struggles to pay it off in full. The card holder would typically spend $14,000 a year, while constantly revolving a debt of $9,000 on their credit card. If this sounds familiar, you should consider looking for cards with a low interest rate and a low annual fee. Rewards cards may not suit you as they usually have high monthly interest rates and large annual fees attached. An Everyday Spender is someone who uses their card frequently every month, but is able to pay off the card in full each month. According to a November 2017 survey, 65% of New Zealand credit card holders pay off their credit card each month. With the Everyday Spender, it doesn’t matter what interest rate you get, since you don’t plan to pay interest! You might want to look for the maximum number of interest-free days, since the Everyday Spender tends to hold back on repaying until the eleventh hour. They typically put $2,000 through their card every month. Depending on your overall “spend” per year, it may also be worth looking into a few rewards offerings and other features – as long as the benefits outweigh the cost. View credit cards for everyday use. 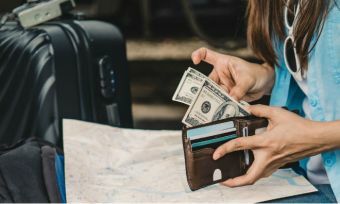 An Occasional Spender is someone who keeps a credit card in reserve for big ticket items, such as holidays, or in case of emergencies, and then pays off the balance over a few months. You might want to check out the selection of cards with a low ongoing interest rate and a low, or no, fee. Finding a credit card that works for you, not against you, is easy if you carefully examine what you spend and how you spend it. Interest-free days aren’t really going to benefit you all that much if you are carrying a balance over several bills. View credit cards for occasional use. Someone who spends a lot on their card, routinely puts around $5,000 or more through their card per month, and always pays in full before interest is charged. The interest rate is no problem if you’re paying it off before interest is charged, so you can look for a card with no annual fee and/or a great rewards and services programme. You usually won’t get both, but if you use your card a lot, you may as well make it work for you. Cards aimed at big spenders can have a high annual fee and high interest rates, so a few missed payments can write off any rewards you received. Make sure you pay it off like clockwork! View credit cards for high use. Purchase price protection insurance is a special feature of some credit cards where the bank will pay you back the difference if you find a product on sale for a cheaper price than you paid for it. This insurance can be provided for free on your credit card, available as a paid option on its own, or included with other insurance options on some cards. Purchase price protection insurance usually only covers purchases made in New Zealand, with an annual limit on claims. A fee is charged for this insurance policy, usually a small percentage of the closing balance of your monthly credit card bill. So, if you pay off the entire balance of your card before your statement is issued, you can avoid having to pay a fee for the insurance. Credit card debt is on the rise in New Zealand. In September 2018, Reserve Bank of New Zealand (RBNZ) statistics show that Kiwis are currently paying interest on $4,133 million (interest-bearing advances outstanding) in total on their personal credit cards. This is a growing amount, with interest-bearing amounts at $3,914 million in September 2015. According to the National Debt Clock, the national debt per citizen sits at $25,483 and Kiwis pay an almighty $5,615,049,405 every year. Sorted has some amazing tips for shrinking your “dumb debt” and reducing your credit card usage. You could even subscribe to their e-newsletter to get regular reminders in your email inbox about ways you can stick to your budget. Loan and credit card repayments (apart from my mortgage) take up more than 20% of my disposable income. I am generally at – or very close to – the limit on my credit card. I usually only pay the minimum payment on my credit card each month. I often pretend bills and reminder notices are not there. I have skipped repayments hoping I’ll make it up next time. I’ve applied for credit cards just to pay other household or credit card bills. I accept offers to increase the limit on my credit card without considering my financial position. I often struggle to make the rent/loan repayments each month. If I do make the repayments, I struggle to pay for essential items such as food, clothes and medical bills. I haven’t been able to pay the water/gas/electricity bill recently. I sometimes have to go without heating or go without meals to save money. I use my credit card to buy food or other essential items because I just don’t have the cash. I don’t have car insurance or home contents insurance because I can’t afford it. I borrow money from friends, family, community or welfare organisations to manage my expenses, bills and debts. I have thought about a loan from a payday lender. I have had to sell or pawn possessions to make ends meet. I don’t have a budget or money management plan. I don’t know how much debt I owe in total. I lose sleep worrying about how I will repay all my debts. I have received a letter, default notice or phone call from my utility or phone provider, credit provider or debt collector about outstanding bills and debt repayments. Face up to your problems. List all of your debts – credit cards, personal loans, etc. – and record what interest rate you’re paying on your chunks of debt. Add it up into one lump sum you need to pay off. Consolidate your debt. Check out what interest rates are on offer and put the whole debt into one balance transfer, one personal loan, or one low-rate card. There’s no point paying interest on several loans or cards at once. Work out what repayments you can afford. Develop a plan, sit down and write out all of your weekly expenses. Try using Sorted’s spending diary and money plan if you’re not sure what you regularly spend. Use the Sorted credit card debt calculator to see how long it will take you to pay off your card. Talk to your bank. Your bank is required to consider your application for “hardship provisions” under the Credit Contracts and Consumer Finance Act (CCCFA). If your bank gives you any trouble about making affordable repayments, talk to their free dispute resolution service (listed on the government register here). For banks, this is usually the Banking Ombudsman of New Zealand. It is a free and independent service that helps people resolve disputes with their financial institution. Switch to cash. Take your credit card out of your wallet. Make extra repayments. As often as you can! That way, you’re paying less interest and getting closer to your goal of freedom. Don’t try to save. It sounds counter-intuitive, but while you’re paying off a debt, you can’t expect to save money on the side. If you have any savings, you need to put them towards paying off your debt. Don’t invest in anything. Investing in anything extra at this point adds the risk of losing more of your money and possibly ending up in worse debt. Be patient. It will take time to pay off your debt. Don’t change your actions or make any sudden splurges until your debt is completely gone. Pay your card off. There’s nothing wrong with asking for help to get your debt under control, for the sake of your financial future. NZ Federation of Family Budgeting Services: A great place to start. Provides free, confidential and personalised budgeting advice from trained budget advisers. They also provide around 1,800 community education courses each year – so find a budgeting service near you on their website. Christians Against Poverty New Zealand: Another organisation that provides free and independent financial help, from helping you consolidate debt to keeping debt collectors away. Anyone can call their debt helpline on 0508 227 111. They also run a free course called Cap Money, which will help you to learn how to budget and live within your means – find a Cap Money course near you. Lifeline Aotearoa: If you are in an immediate crisis, call Lifeline’s 24-hour crisis support service on 0800 543 354, or text on HELP (4357). Community Law Centres: If you feel like you might need some legal advice about your debt, you should go there for free legal advice instead of forking out hundreds of dollars to a private lawyer. Don’t be fooled by other businesses offering services to help you get out of debt, as most of them charge fees and are little more than debt consolidation companies. Always find out up front how much a debt company will charge you for their services. You can often get the same help for free from a financial counsellor. Please note that these are a general explanation of the meaning of terms used in relation to credit cards. Your bank or financial institution may use different terms, and you should read the terms and conditions of your credit card carefully to understand all fees, charges and interest rates that may apply. Account-keeping fee / Ongoing fee: A monthly account-keeping fee that is charged by the lender to help cover the administration cost of maintaining the line of credit. Alternatively, you may be charged an annual fee rather than an ongoing account-keeping fee, especially for rewards credit cards. Annual credit card fee: A fee charged annually for the use of the credit card. Usually applies to rewards credit cards. Automatic transfer: A system that is set up to automatically transfer money from a one bank account into another account at a certain point in time to coincide with bills or payments. Cash card: Also known as gift cards. A prepaid card with a set balance. Can be used either at a specific retailer, or like a debit card that can be used with multiple merchants using EFTPOS. Balance transfer: Transferring the outstanding balance on your credit card to another card, usually one with a better (lower) rate. Bankruptcy: This is when someone’s debt problems become so serious that they are unable to pay their existing debts and bills. When this happens, they can apply to a court to be declared ‘bankrupt’, and any assets or savings they have can be used to pay off their debts. Big spender: Credit card users who spend a lot of money on their cards every month and always pay off the balance in full. For these cardholders, the best cards are those that provide adequate rewards programs and other services. Cash advance: Withdrawing cash from a line of credit. Usually incurs additional fees or a higher rate of interest. Cash advance fee: A fee charged when you make a cash withdrawal from an ATM using your credit card. The bank may charge a flat fee or a percentage of the amount of the cash advance. Caveat emptor: Latin for “let the buyer beware”. In financial situations, this phrase means that a buyer should be careful to examine an item and the terms of conditions that apply to purchasing it, before making that purchase. Charge card: Instead of having a revolving line of credit, the balance of this card must be paid off in full every month. Charge cards were the first historical versions of credit cards issued by merchants and banks. Credit limit: The maximum amount you can spend with your credit card before having to pay off some of the balance. Credit report or credit history: A report from a credit agency that contains a history of your previous loan and bill payments. Banks, lenders, creditors and financial institutions use this report to determine how likely you are to repay a future debt, and it helps them decide whether or not to lend money to you. Your credit score and credit report are also used by lenders and insurers to set your loan and insurance rates. Credit score: Also known as your credit rating. It is an assessment of your credit-worthiness, based on your positive and negative borrowing and repayment history, which is listed as a numerical score. The score is based on whether you pay your bills on time, your current level of debt, the types of credit and loans you have, and the length of your credit history. 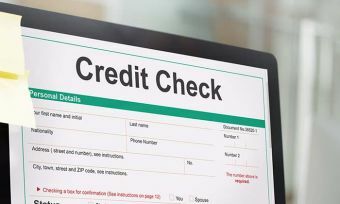 Your credit score and credit report are used by lenders when deciding whether or not to lend to you, and they are sometimes also used by lenders and insurers to set your loan rates. Creditor: A lending agency to whom you owe money. Debit card: Also known as a bank card or a cheque card. Allows you to access the money in your savings or checking account electronically to make purchases. Requires a PIN number to confirm identity, and the funds are removed from your account almost immediately. EFTPOS: Electronic Funds Transfer at Point Of Sale. Usually refers to a small machine that merchants use to receive payments from customers’ credit and debit cards. Everyday spender: Credit card users who use their credit cards for everyday purchases and pay off their balances each month. They need to be concerned less about interest rates and more about finding the right features. Habitual spender: Credit card users who keep a revolving credit card debt and don’t pay off their card each month. Typically need a low rate card with a low annual fee. Impulse spender: Credit card users who only spend in splurges (holidays, emergencies) and then spend months paying the balance off. Typically need a low rate card with a low annual fee. Interchange fee: Fees paid between your bank and a merchant’s bank to accept card-based transactions. Interest-free days: The number of days you have to pay your bill in full before interest is charged on the balance. It is the period of time between the date of a purchase and when the payment is due. But be careful because if you do transfer money from your credit card to another account (known as the term ‘cash advance’), interest usually starts from that date. Ombudsman: If you have a dispute with your bank and haven’t been able to resolve it through the bank’s internal complaints resolution process, you can contact the Banking Ombudsman of New Zealand. It is a free and independent service that helps people resolve disputes with their financial institution. Over-the-Credit-Limit Fee: A penalty fee charged to you for exceeding your credit limit. Pre-approval: An initial approval notification that provides a customer with an estimate of the credit limit someone would be approved for if they applied for that type of credit card. This is based on information the bank has about their credit history. It is not a guarantee that the customer will actually be approved for the card if they make an application. Revolving account: An account in which there are not a scheduled number of payments and the full balance doesn’t have to be paid off monthly. Credit cards are the most common type of revolving account. Credit Card Profiles – Which One Are You? Credit Card vs. Charge Card: Charge it! Bank Credit Ratings – What do they mean? What to do if you lose your credit card? Christmas Shopping: online or in store? WHAT did you say the average credit card interest rate is?? Are you self-gifting this year? Credit card security: What’s new? Read the Methodology document in our star ratings report to find out how we rate credit card providers. Who offers credit cards in New Zealand? American Express NZ: American Express was founded in 1850 and issues the world’s largest number of credit cards. ANZ Bank NZ: ANZ has a long history, founded in 1835 in Sydney as the Bank of Australasia. Nearly one in two Kiwis have a banking relationship with one of the ANZ brands. They are New Zealand’s largest rural banker, serving 39% of rural Kiwis. ASB Bank NZ: The first Auckland Savings Bank was founded in 1847 “to serve the community and to help Kiwis grow”, and they now have more than 1.3 million customers. They boast a number of country-wide banking firsts: first internet banking site (1997); first no-branch bank (1997); first 7-day branch (1998); first to offer online share trading in both New Zealand and Australian share markets (1999); and first mobile internet banking (1999). Bank of New Zealand: Bank of New Zealand opened their first office in the 1860s in Queen St, Auckland, and acquired the account of the Central Government from the Union Bank. In the 1940s, they were the first bank in the country to open a mobile banking office in a caravan, and the first to begin granting personal loans. Gem: Gem is part of Latitude Financial Services, which looks after more than 2.5 million customers across New Zealand and Australia. The Gem Visa Card has been available in New Zealand since 2002. Kiwibank: Kiwibank is 100% New Zealand owned and you can find them in more than 250 PostShops nationwide. That’s probably why they have so many customers – 800,000, in fact. Kiwibank have previously won several Canstar banking awards. TSB Bank: TSB Bank opened in 1850 and has been proudly independent and New Zealand owned ever since. Westpac NZ: Westpac was established in New Zealand in 1861, beginning on the gold fields of Otago. They now serve over 1.3 million customers across the country. The predecessor of Westpac NZ, CBA New Zealand, was the first bank to lend money to women, with their “Yes, we do lend money to women” campaign in 1974. The Co-operative Bank: The Co-operative Bank was founded in 1928 as the Public Service Investment Society, but they have shaken off the shackles of their past and now offer banking to all Kiwis. Warehouse Money: The Warehouse is a New Zealand discount retailer which first opened its doors in 1982 to provide bargain-priced products in a high-cost economy. The retailer now offers both the Purple Visa Card and the Warehouse Money Visa Card. Countdown: We all know Countdown as a supermarket but since the chain opened in 1981, it has since introduced the Onecard Visa. The Onecard Visa is the same as the usual VISA card except it is based on Onecard and has additional reward features.